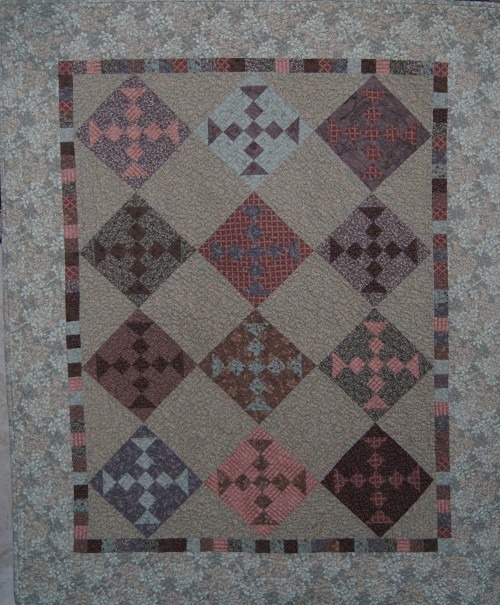 Description: This little crib quilt is named for First Lady, Dolley Payne Todd Madison. For half a century she was the most important woman in the social circles of America. To this day she remains one of the best known and best loved ladies of the White House. Dolley made her home the center of society when Madison began, in 1801, his eight years as Jefferson's Secretary of State. She assisted at the White House when the President asked her help in receiving ladies, and presided at the first inaugural ball in Washington when her husband became Chief Executive in 1809.